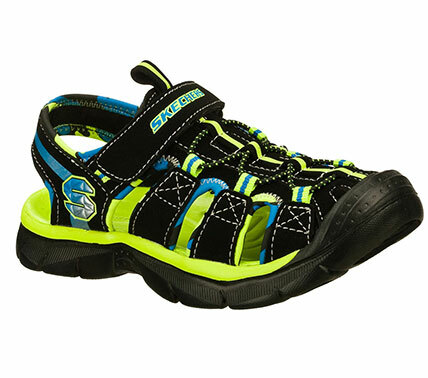 He'll love to go on adventures wearing the SKECHERS Relix sandal. Smooth synthetic and camo print fabric upper in a closed toe sporty casual comfort river sandal with stitching accents. Adjustable top strap; lightweight sole.